Air pollution health effects can have a long-term impact on a person's health, including causing difficulty breathing, strokes and premature death. A 2008 study found a link between air pollution and stroke risk, while environmental agencies frequently warn about the negative effects of air pollution exposure . 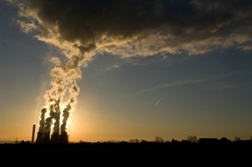 Send your Air Pollution claim to a lawyer who will review your claim at NO COST or obligation. According to the EPA (Environmental Protection Agency) the six common air pollutants are ozone, particulate matter, carbon monoxide, nitrogen oxides, sulfur dioxide and lead. Of those six, particle pollution and ground-level ozone are "the most widespread health threats." Exposure to the six common pollutants is associated with health problems including increased respiratory symptoms, heart or lung disease and premature death. Particle pollution contains microscopic solid or liquid droplets. These particles are tiny but can cause serious health problems because they can get into a person's lungs and even into the bloodstream. Primary particles come directly from a source, including construction sites, unpaved roads, smokestacks or fires. Secondary particles are formed by reactions of chemicals in the atmosphere. These include sulfur dioxides and nitrogen oxides that come from power plants, industries and vehicle emissions. Health effects caused by particle pollution include irritation of the airways, coughing, difficulty breathing, decreased lung function, aggravation of asthma, chronic bronchitis, irregular heartbeat and nonfatal heart attacks. In people with heart or lung disease, exposure to particle pollution can result in premature death. Ground-level ozone is created by a reaction between oxides of nitrogen and volatile organic compounds in the presence of sunlight. Sources of ground-level ozone include motor vehicle exhaust, industrial emissions, gasoline vapors and chemical sources. Health effects caused by exposure to ground-level ozone include airway irrigation, difficulty breathing, wheezing, increased susceptibility to pneumonia and bronchitis, inflammation and permanent lung damage. Ground-level ozone can also scar lung tissue and reduce lung function. A study published in the Annals of Neurology found a link between low level air pollution and an increased risk of stroke. The study investigated the effects of air pollution in a southeast Texas community with a large petroleum and petrochemical industry presence. Researchers, led by Dr. Lynda Lisabeth, found borderline significant associations between same day and previous day fine particulate matter exposures and ischemic stroke/transient ischemic attack risk. A similar association was seen with ozone. "While our observed association between PM2.5 and stroke/TIA risk requires further study in additional regions in the US with varying types of climates and possibly with alternative study designs, it does call into question current standards for fine particulate matter and whether these standards are sufficient to protect the public with regard to stroke, our nation's third leading cause of death," the authors note. 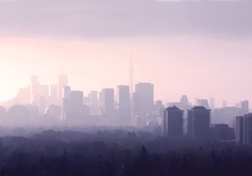 Although the study focused on fine particulate matter, the association of ozone levels and stroke/TIA risk suggests that ambient air pollution in general may affect stroke risk. A study conducted by doctors at Mount Sinai Medical Center found workers who were at ground zero during rescue and recovery suffer high rates of respiratory problems. According to the study, approximately 70 percent of the 10,000 workers tested between 2002 and 2004 had new or worsened respiratory problems while or after working at ground zero. 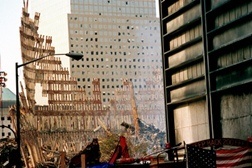 Diseases such as sinusitis and asthma have been linked to the dust from the World Trade Center. Many of the workers who reported breathing difficulties still suffered those problems two and a half years later, indicating that the issues are chronic and may not improve over time. Some lawsuits filed against companies alleging air pollution violations have resulted in wins for the plaintiffs. According to The Associated Press (04/16/10), a lawsuit alleging air pollution violations at western Wyoming Power plant resulted in PacifiCorp agreeing to pay $1 million to the US government. If you or a loved one has suffered sickness or injury due to Air Pollution, please click the link below to send your complaint to a lawyer to evaluate your claim at no cost or obligation. New York Fines Hazardous Waste Company for Wa..
Study Concludes Air Pollution Can Lead to Str..